Allen, K.H. 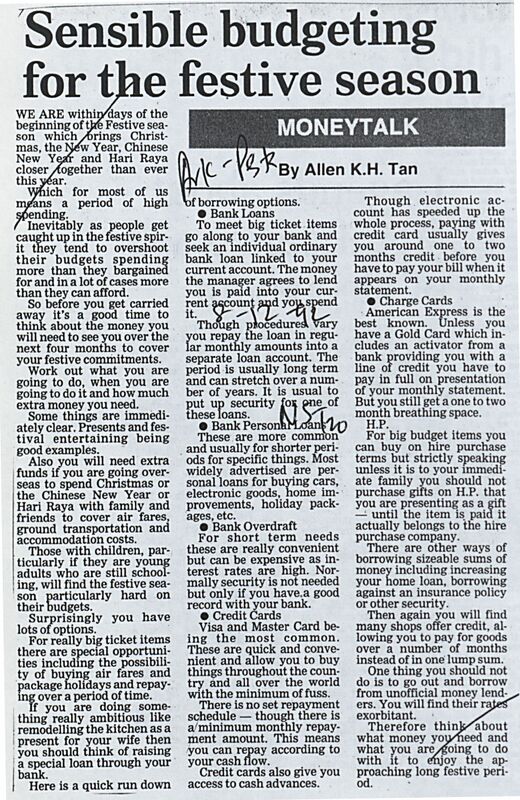 Tan (1992) Sensible budgeting for the festive season. In: Adat Resam dan Kepercayaan Jilid 2 1992. University of Malaya Library.